Even if you haven’t played it yourself, you’ll have no doubt heard of the runaway success known as the Five Nights at Freddy’s indie game franchise. It is now over three years old and comprises six core games, one spin-off, and a successful series of novels. But just why out of all the indie games released in the past three years did Five Nights at Freddy’s gain such a cult following? Is there anything it can teach us about what spawns a cult hit? Here we take a look at some of the specific things that helped Five Nights at Freddy’s achieve it hits status. One of the main things about Five Nights at Freddy’s is that the series introduces a very complex story with a lot of mystery behind it. Whether or not the ambitious plans were all conceived of when the first game was released or whether the lore was expanded on as the demand was there for future installments, is hard to say. 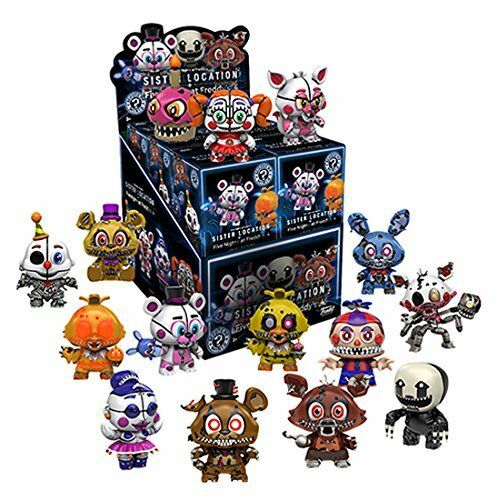 However, the creator does seem to have plotted out a lot of the events revealed in later games like Sister Location and foreshadowed them in earlier Five Nights at Freddy’s games. The online debate around the meaning of different things within the games reached very intense levels, with people on subreddits even discussing whether there was a deeper meaning to things like the hex codes of colors used for different sprites. When it comes to the actual gameplay of Five Nights at Freddy’s, there is a strange mix of modern looking horror gameplay with unusual mechanics and the much talked about jump scares and mini-games in a retro style. While the overall look and feel of Five Nights at Freddy’s has not adopted the retro look common in many indie releases, favoring realistic graphics, a lot of what people enjoy about the game is in the simple 80s style mini-games, which have been given a dark twist that fits with the plot. These are very similar to old-fashioned arcade games. It is obvious that this style of gaming is popular. You just have to look at sites like bigsamo.com that allow people to play simple retro-style games with familiar mechanics online to see that people do still enjoy the challenges these games offer. Another big factor that Five Nights at Freddy’s had going for it was that it was able to catch the interest of some YouTube channels popular with gamers. The YouTube channel The Game Theorists run by presenter Matt Pat even jokes about how the majority of videos released by the channel – which actually talks about all kinds of different games – have been about Five Nights at Freddy’s and theories about the game world and plot for the last three years. Five Nights at Freddy’s was certainly a unique concept, but nobody, not even the original fans or even the developer could have predicted just how big of a franchise it would become. It will be interesting to see whether there will be any further installments after Five Nights at Freddy’s 6, which effectively wrapped up a lot of the open plot points.